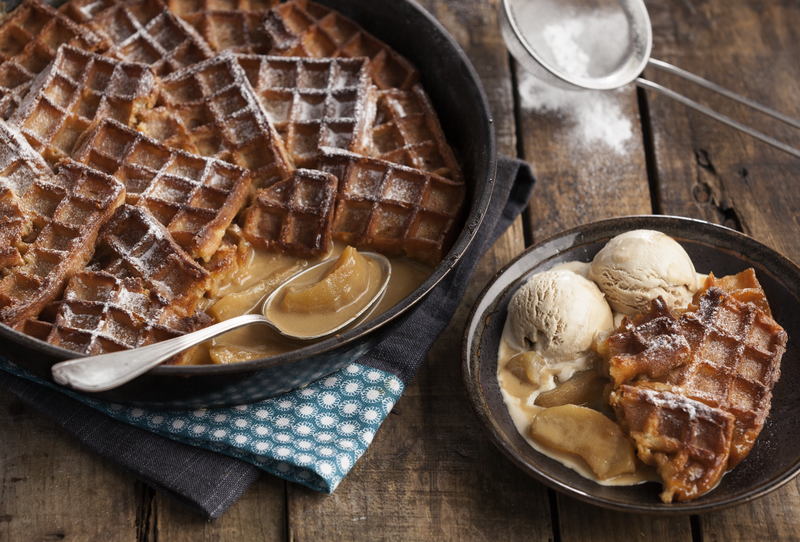 Toffee apple and waffle pudding…. with ice cream. Chef scoops the ice cream into balls then put them back in the freezer until I’m all set up and ready to take the final shot…. I love how as they start to melt and mix with the toffee sauce.